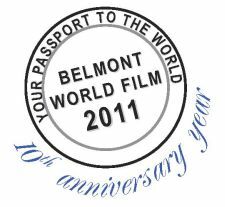 To our supporters in the Boston area: check out the Belmont World Film Festival from March 14 to April 25. “Burning in the Sun, ” screening on March 30 is a documentary set in Mali, where we are actively building schools. Daniel Dembele, a 26-year-old charmer who is equal parts West African and European, was looking to make his mark on the world. Seizing the moment at a crossroads in his life, he decides to return to his homeland in Mali and start a local business building solar panels?the first of its kind in the sun-drenched nation. His goal is to electrify the households located in rural communities, 99% of which live without power. The film follows him on his journey in growing the budding idea into a viable company and how it affects his first customers in the tiny village of Banko. Taking controversial stances on climate change, poverty, and African self-sufficiency, the film explores what it takes to prosper as a nation.